When it boils down to choosing your next new or used vehicle, you want the best you can get for your money. There are a few options out there that will take care of you as well as giving you a great sense of comfort. Why not look at something that you can purchase in a sedan or hatchback. Two companies are doing what they do best with the all-new Chevrolet Cruze and the Ford Fiesta. To find the right fit for you, a test drive is needed, so why not try the Cruze at Mike Anderson in Gary, IN. You will not be disappointed with the car or the exceptional customer service and parts/maintenance staff that you will find at Mike Anderson dealership and service center in Gary, IN. Come on by today to see our unbeatable prices and new/used stock. There is something for everyone. The Fiesta has a European designed front suspension designed to for tight, winding roads. It also has a suspension arm and stabilizer bar helping to keep you upright and avoid roll over. If understeer is something you are concerned about, there is a rear axle bar designed to help reduce the problem. Along with all these features, the Fiesta has EPAS (Electric power-assisted steering) Instead of the wheel being attached to a hydraulic pump; it operates with an electric motor to help you and the car adjust to any conditions you may encounter. EPAS can also help with any drifting that may occur. All these things can be important to driving performance; however, the Cruze focuses on the basics. It focuses on getting you where you need to be for less. With quick, responsive handling, you seriously cannot go wrong with the Cruze. For such a powerful car, the interior is quiet and comfortable. This car doesn’t need anything overly facey to keep you driving. There are two engines to fit your style of driving. A 1.6 L Ti-VCT I-4 and has 120 horsepower which is standard in the S, SE and Titanium models. There is also a turbocharged 1.6 Ecoboost and has 197 horsepower which comes standard in the ST. The Fiesta comes standard with a manual gearbox. However, a six-speed automatic is available on three models. The Fiesta gets about 27 miles per gallon in the city and about 35 miles per gallon on the highway. On the other hand, you have the Cruze. A Chevrolet classic: it will take you where you need to go for less. Unlike the Fiesta, the Cruze comes standard with a 1.4 L turbo with 153 horsepower and an average of 40 miles per gallon on the highway. Yes, the engine is smaller by .2 of a litre. 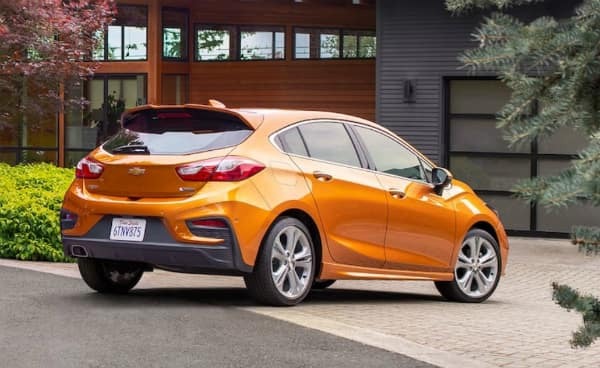 However, the Cruze has some tricks up its sleeve The Cruze can also come in diesel which has a 1.6 L turbo and can average about 52 miles per gallon on the highway. Fuel economy plays a huge role in our world today, so why not go for the Cruze. Like the driving performance, the Fiesta goes over the top on its interior packaging as well. With ambient lighting, painted metallic accents and an entertainment system that is busy, the Fiesta does not leave much room for its passengers as well. While two medium-sized people can sit in the front easily, there is little to no leg room for the passengers in the rear. 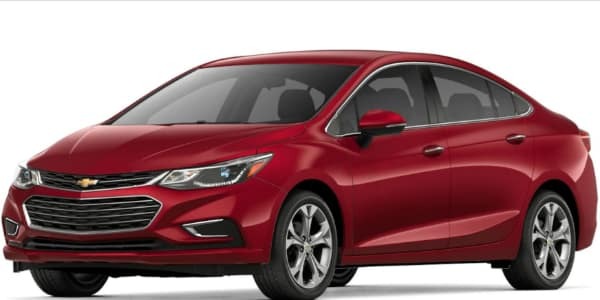 The Cruze, on the other hand, has been redesigned to fit you, your passengers or whatever else you may need in with ease and comfort. With ample leg room for the passenger’s in the back, rear seats that fold down so you can carry more of the things you love and comfortable seat design. The designers at Chevrolet know what they are doing. You cannot forget the fantastic infotainment system that comes standard with most Cruze models. The Fiesta has some safety features that are standard on all models. They include a strengthening of essential safety zones to create a better roll cage. The Fiesta also has curtain side airbags along with side dual-stage driver airbags. With more safety features and safety add-ons, the Cruze is better designed to keep you and your loved ones safe. Lane Keep Assist, rear vision camera and side blind zone alert are just some of the excellent safety add-ons of the Cruze. It comes standard with ten airbags and OnStar when you end up in an unfortunate situation. If you are looking for a safe and reliable car, look no further than the all-new, re-designed Chevrolet Cruze.